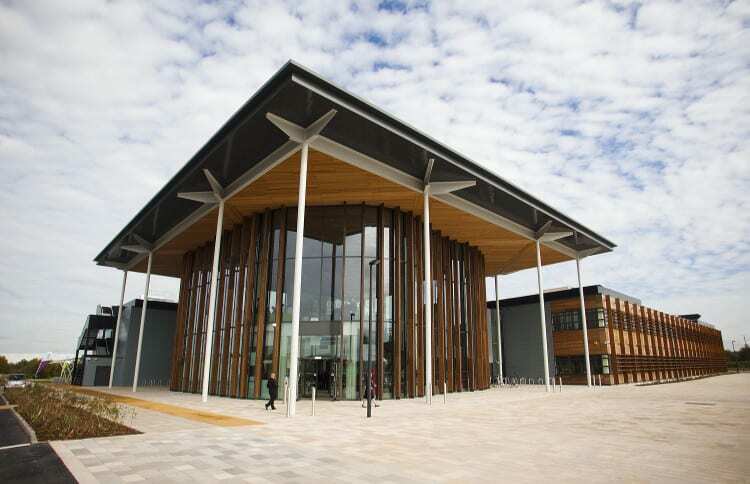 Opening its doors in February 2013, the Bristol and Bath Science Park is set across a vast 59 acre site in Emersons Green, just off the M4. 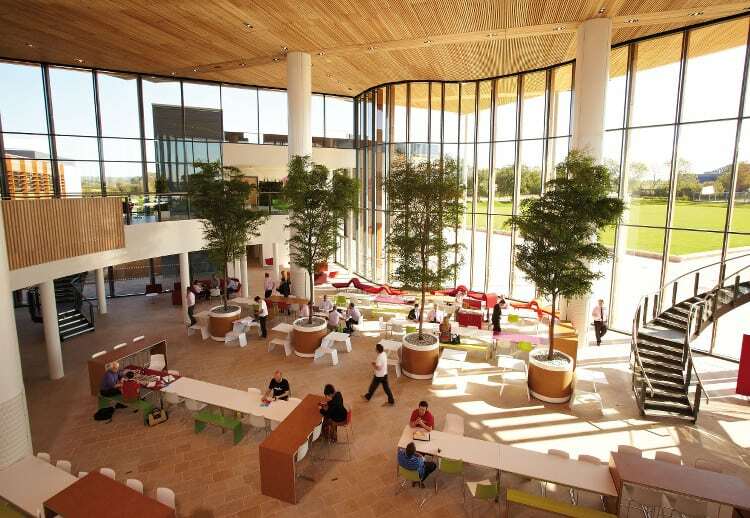 Scattered amongst luscious green spaces are workspaces, laboratories and networking hubs, all for use by innovative local businesses with a scientific or technical focus. The Science Park is its own little world with streets and landmarks named after famous scientists: Jenner Boulevard (after Edward Jenner, ‘the father of immunology’) runs alongside Dorothy Hodgkin Reservoir (after the Nobel Prize winning chemist), and into Dirac Crescent (after Paul Dirac, Nobel Prize winning theoretical physicist). With the funky and colourful Forum and Innovation Centre the site certainly looks impressive; but what exactly does it have to offer under the hood? 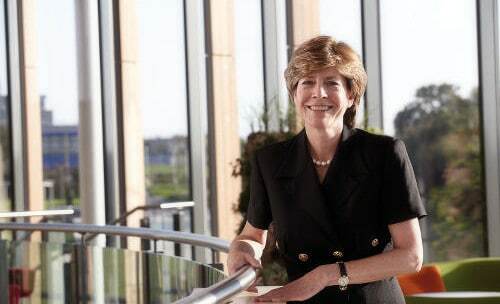 Bonnie Dean OBE: Chief Executive of the Bristol and Bath Science Park. 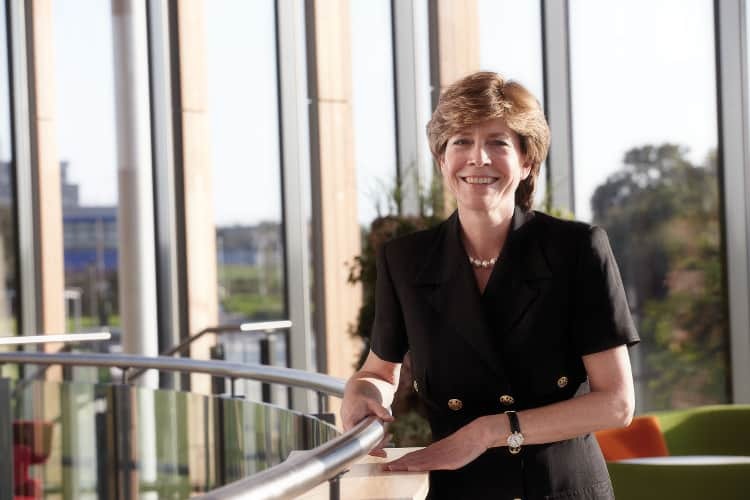 We caught up with Chief Executive Bonnie Dean, who was awarded an OBE in 2012 for ‘services to Design, Technology and Innovation’, to find out. The Park fosters business and collaboration with a range of facilities tailored to members’ needs. On site are meeting rooms and conference spaces equipped with the latest technology. Established firms own plots of land, while the Innovation Centre provides office space and hot-desking for early stage companies. The Grow-On Centre, meanwhile, is designed for businesses that are taking root, with offices and laboratories fitted out to spec. 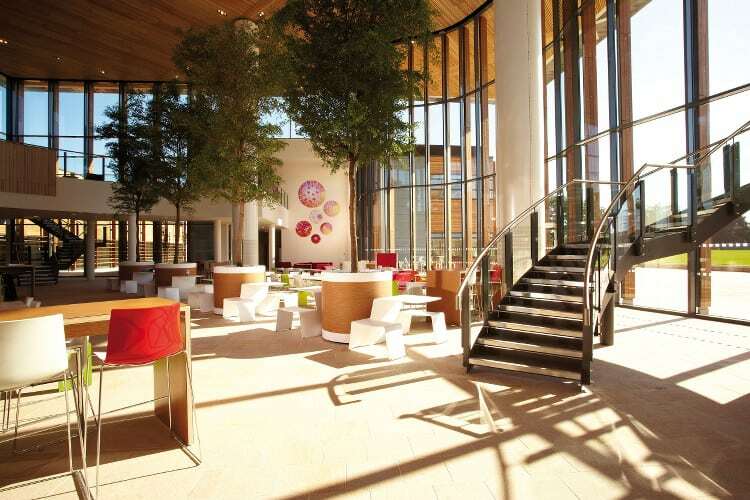 The Forum, a large glass atrium with open seating, is designed for networking and is open to the public. “We do encourage a lot of businesses just to use it for their own purposes,” says Bonnie. “They don’t need to register or sign in; they can just come in and use the space. It’s quite flexible. We’ve got networking space on the ground floor and we have small meeting pods on the mezzanine floor which, again, are free to use.” There’s also free Wi-Fi and Bristol-favourite Friska, a ‘feel good food’ café for guests and employees. Their list of tenants is a long one, full of science-fictional names like CensorNet (internet security), Greymatters (electrical earthing solutions), and X-Bolt Orthopaedics (medical device manufacturers) but what does Bonnie think has been the Park’s biggest achievement to date? The Forum, for networking: The building itself wears a mortarboard to help you feel smart. This density of tech business came as no surprise. Bonnie lists what she sees as the main advantages of being based in Bristol: “We’ve got a very rich history of technology, in the aerospace and defence and microelectronics sectors,” she says. “We’ve now got a growing green sector. We’ve got a very strong digital and creative sector, and all these things are starting to converge, so for business it’s easier to find people that have experience across both a broad and deep range of industry. Inside the Forum: an inspiring realm of space and light. So how can you check out the Science Park? Visitors are welcome to stop by the Forum and grab a bite to eat while networking. From time to time, themed events are also run across the Park. Bonnie also let us know that the Science Park will be showcased at the Open Co innovation festival, which, after successes in San Francisco and London, is making its way to Bristol and Bath on October 2nd. 14 companies will giving 40-minute talks and answering visitors’ questions, giving key insights into their business journeys. The Forum: even inside, there’s greenery. Shrieking wildlife not included. She is also very kindly acting as a judge for our very own SPARKies awards 2014 – the digital and tech awards for the west. Nominations for the awards are open now and remain open until 3 October 2014! Many thanks to Bonnie for taking the time to talk to us. You can follow the Science Park on Twitter. 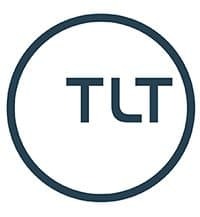 For more tech industry news and features, don’t forget to follow us too @TechSPARKuk. Chris is a content writer for futurecontent.co. He's worked for digital publishing startup Ether Books and plays too many video games.